We’ve grown up in this society where we’re told a few things such as, “all debt is bad!”, “debt is your ball and chain” and “rent money is dead money”. Is life ever really that simple, though? In the case of debt, definitely not. Before we even go into this conversation, we must think about what the term “debt” means to us. Debt is where someone receives a loan of something, usually in exchange for that thing plus interest. So in exchange for taking the risk of loaning you something, whether it be money or an item, that person gets a little reward. Although, this isn’t always the case. Have you ever borrowed five dollars from someone to buy lunch because you weren’t going to get paid until Thursday? You paid them back, right? Did you pay interest on that? If not, they were probably your close friend, family member or someone you knew well enough at the time to bypass the embarrassment of borrowing money to buy lunch. We have less of a problem going to a bank with a request to borrow money because of a few reasons, including the fact that we know that the bank benefits from us going to them. Also, we’re generally not quite as close to the bank as we are to our loved ones. It’s the same case with debts that one might accrue for other reasons. Psychologically, debt is seen as negative thing because the benefit of the loan has usually already been achieved in our minds. For example, if you borrow money to purchase a house, you may already be living in it and can now only feel, remember and appreciate the negativity of having a home loan. It’s often the same with credit cards and other forms of debt. At the time, you might be tempted by that present for your nephew or niece and so you buy it. Whether they liked it or not, in the end becomes irrelevant because that debt has already been accrued and you need to repay the money. Naturally, most of us will only remember the burden of the money we need to repay and forget about the happiness that the present you brought for the nephew or niece. That doesn’t mean that the happiness is invalid, though. The issue is that our problem with debt is all in our mindset. Our mindset tells us to get into debt for many things that only have a short term psychological benefit, rather than a long-term financial benefit. The first step you should take in changing your mindset is thinking about your long-term financial goals. If you want to spend your life paying off your owner-occupied home, then this article might not be for you – just beware that you’re actually helping the banks get richer as you slave away. If you wish to be financially independent and retire early, then you need to change your mindset and keep reading. Have you ever heard the phrase that “you need to spend money to make money”? Well, this is applicable to the right kinds of debt too. Your mindset needs to shift from the short term benefit to the longer term financial gains. The type of debt you should be choosing is debt that can bring you long term financial gain. Examples of such debt include but are not restricted to things like margin lending andinvestment property loans in well-regulated markets. Know how the debt will be repaid if everything turns sour. If you follow these four rules, it is highly unlikely that you will get into ‘bad’ debt. Rule 1 prevents you from spending your loan on frivolous items. Rule 2 helps to protect you in the event of your investment failing. Rule 3 helps you find someone reputable who has a reputation to uphold with both of your networks. Rule 4 ensures that you’ve planned ahead. 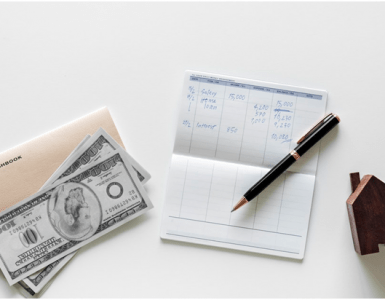 Luckily, many of these mitigants are requirements in well-regulated financial environments and a quality broker will ask you these types of questions before proceeding with putting your loan application forward. Just try to remember that there is help out there available to you, so don’t be penny-pinching when it comes to your wealth. If you know of a fantastic financial specialist who can help you pick the best kind of financial instruments for your needs, pay to see them. Just ensure that you know how protected you are under the consumer laws in your country. Be true to yourself and only invest in assets that you like. Some people cannot sleep well at night if they own a large share portfolio, because they prefer property as an asset. Others cannot stand the thought of dealing with agents and banks, so they go down the road of shares. These are only two of the many asset classes available to everyone – just keep looking until you find the classes that speak to you. 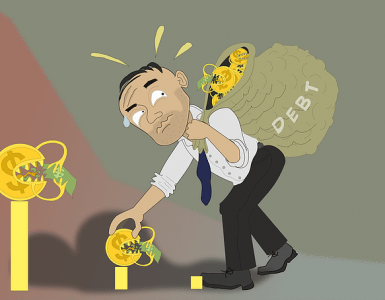 Are you in a bad debt kind of situation? Or are you looking to plan towards your future? 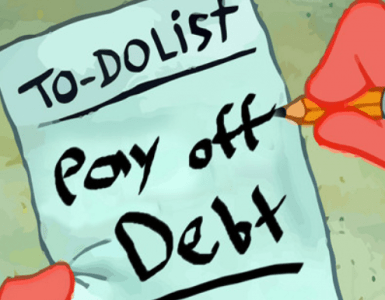 Did this article tickle your debt mindset? Let us know in the comment section below. Help Me Bank is an Australian finance blog, aimed at helping people beat the banks at their own game. The Australian finance system is a heavily regulated environment which can be difficult to navigate. 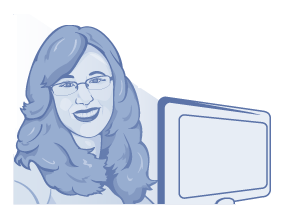 Help Me Bank provides practical general advice for people to do with their banking, retirement, insurance, budgeting, property questions and many more things. The advice provided is impartial and truly has no strings attached to it. It comes from Marianna who has 10 years of experience in Australian finance.